This design has been on my hooks for a while and I’m so pleased to finally be able to release the pattern for my ‘California Coast Shawl’… It’s taken longer than planned so thank you for being patient those of you who have been waiting after I shared images way back in October over on Instagram 🙂 A lot of work has gone into this design so it’s a pattern I am charging for and its available to buy over on my Ravelry and Etsy stores. It’s 12 pages long as I have included a lot of step by step photos to accompany the written pattern. This time I used yarns which I had bought at Yarnale from River Knits and the step by step photos were taken… And I finally finished it this weekend! I’ve called it my ‘California Coast Shawl’ as it was Kirstyn’s mini set that inspired me to make it in the first place… But the weather today along our Sussex coast is far removed from what I think of when I think of the Californian coast! It’s a very pretty design and I love the edge. It looks like shells on the beach. What beautiful work. I love it! 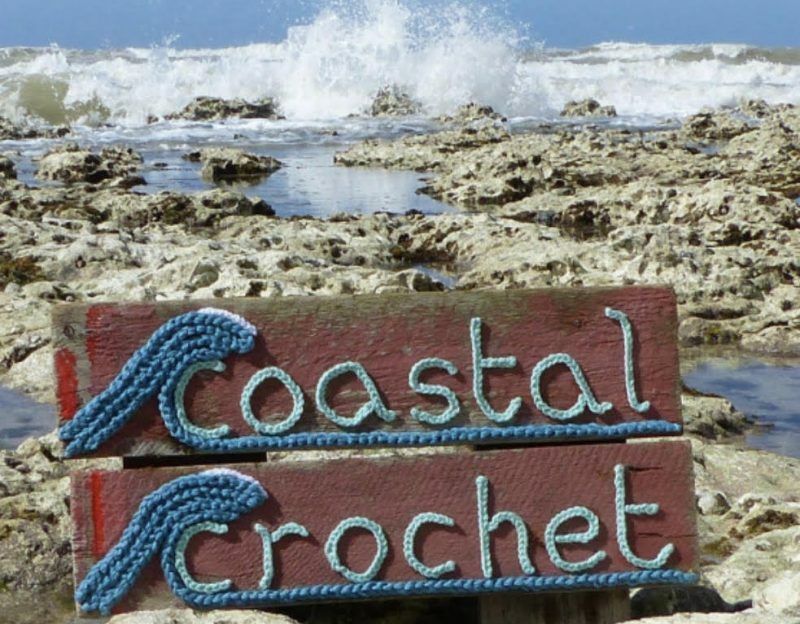 Looking forward to the next one….i learned so many fabulous stitches from the Sea side stash one….which i finished and gave to my daughter who lives by the sea. Yay, I bought the pattern! It will be fabulous to crochet this using my own handspun yarns. Hmm, there is still some time till April, so I just start crocheting the seaside blanket, it looks great! It’s beautiful! And I’m excited to read your comment above that you’re planning a new CAL for next year. I didn’t take part in the last one but loved following along. Will be keen to take part in the next one though!